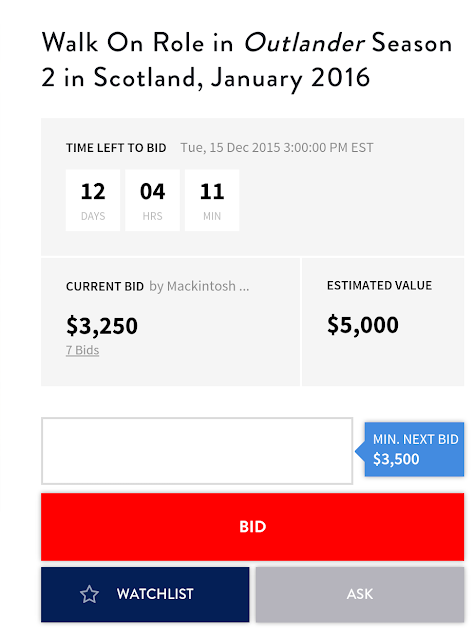 An Outlander Season two walk-on role is up for bid on CharityBuzz! All auction proceeds will benefit Serious fun Children's Network, the global family of camps rounded by Paul Newman for children living with cancer and other serious illnesses. Become a star during your walk on role in the second season ofOutlander, a STARZ Original Series based on Diana Gabaldon's best-selling books. 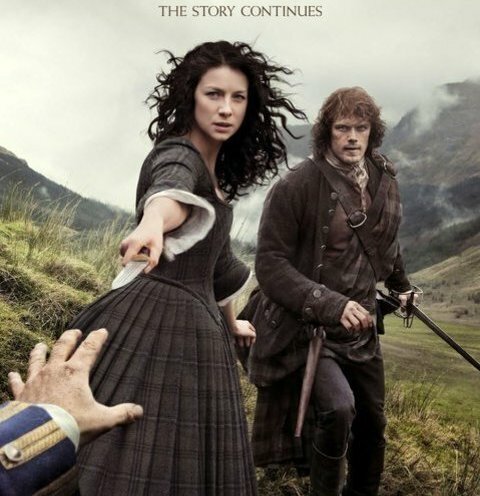 Outlander follows the story of Claire Randall, a married combat nurse from 1945 who is mysteriously swept back in time to 1743, where she is immediately thrown into an unknown world where her life is threatened. When she is forced to marry Jamie Fraser, a chivalrous and romantic young Scottish warrior, a passionate relationship is ignited that tears Claire's heart between two vastly different men in two irreconcilable lives. Donated by: Sony Pictures Television Inc. Participant must be at least 18. Meet & greets are not guaranteed as part of this experience. Filming of the season to take place in Glasgow or surrounding area and to be completed in late January, 2016. Role to be decided upon between production team with the winning bidder. Cannot be resold or re-auctioned.